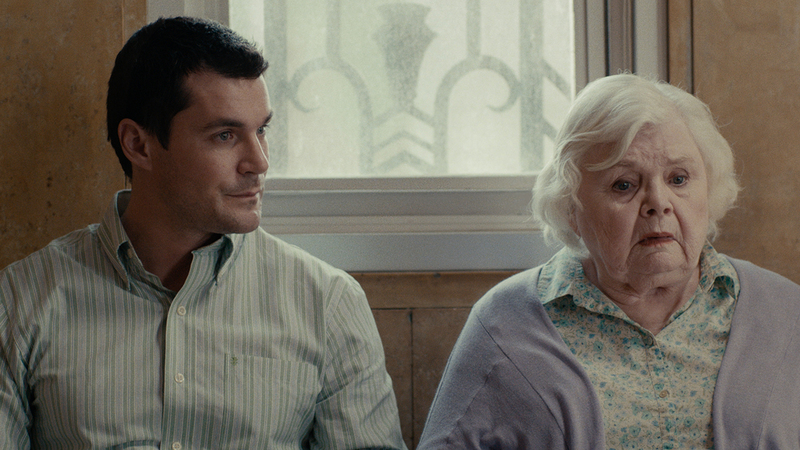 The Visit Is Worth Visiting Chelsea Film Festival for. First, I saw the trailer, and could not stop thinking about it. Who’s visiting whom? Why? 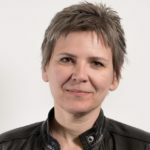 The short film, all 12 minutes and 30 seconds of it, makes you hold your breath, and just when you think you’ve figured it out, offers a twist and a perspective that opens your eyes and mind in a completely unexpected direction, time and again. Nothing seems to be what it seems. 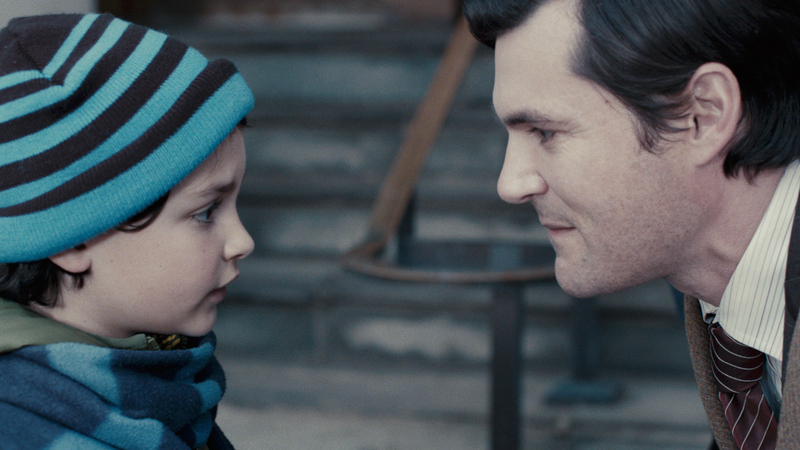 In the film, Ben (Sean Maher) and his mother (June Squibb) are visiting, when she announces the impending arrival of Ben’s deceased wife and son. What follows is an unraveling of a man’s mind, in a few emotional, revealing, and unsettling minutes of comprehending. It is brilliant. 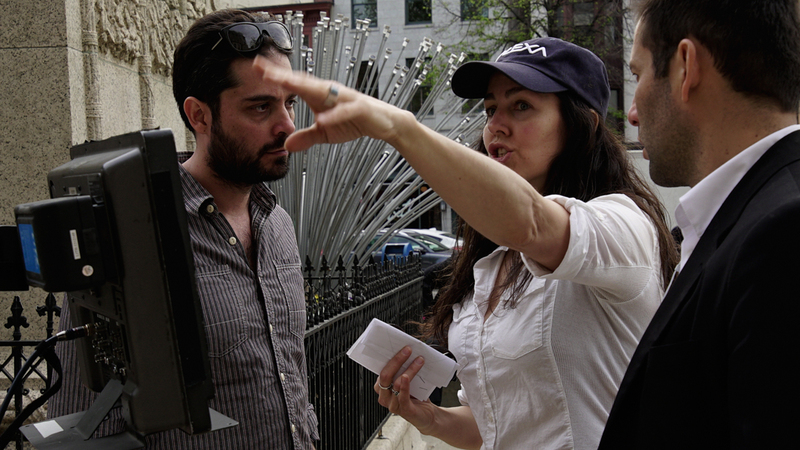 “The Visit was born in August of 2014 out of a phone conversation with my father about my late great aunt Elsa, at the time 102 years old,” Argentinian born, Brooklyn based filmmaker Romina Schwedler says. Elsa had lost all of her generation of friends and family, and her mind, sharp as ever, had developed curious ways of coping with the trauma and the loneliness. “I was fascinated by the mechanisms the mind has access to in order to handle loss and grief. My aunt Elsa could not have been more enthusiastic about this alleged party she needed to prepare for, where she was going to see her sister and parents later that day”, Schwedler says, and the idea for The Visit was born. 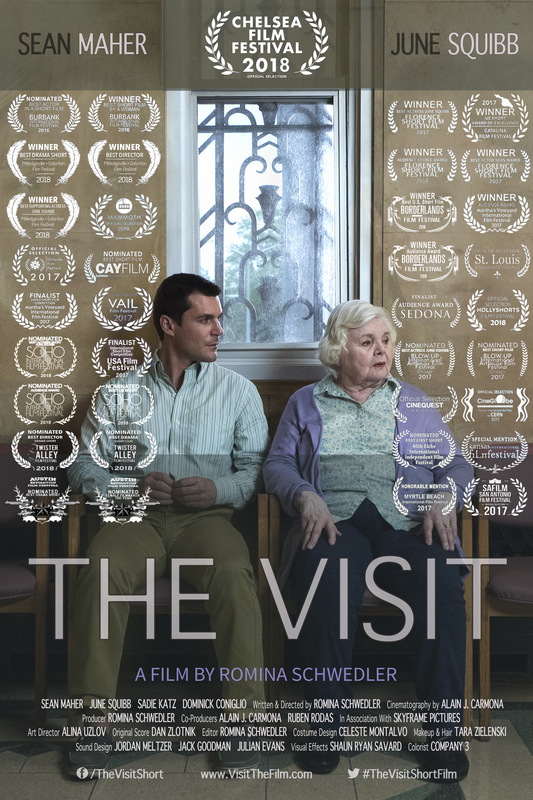 The Visit, starring Oscar Nominee June Squibb (Nebraska) & Sean Maher (Firefly), will be screening at the Chelsea Film Festival tomorrow, October 19th, at 1:30pm, AMC Lowes Theaters. Get your tickets.